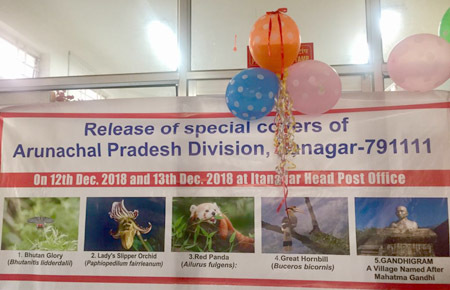 ITANAGAR, Dec 12: India Post, Itanagar Head Post office released three special covers on bio diversity of the state on Dec 12. The Great Hornbill which is the state bird, and Bhutan Glory, a rare species of butterfly which reportedly have been spotted in Eaglenest wildlife sanctuary, Dirang and Ziro Valley feature in the special covers. A special cover on Mahatma Gandhi’s statue in Gandhigram, Vijaynagar was also released. Gandhigram, known as Shiddi by the Yobins was renamed in honour of Mahatma Gandhi in 70s. The area is yet to be connected by road. Philatelist Lawrence Lyngdoh said that the special covers were a tribute to the rich biodiversity, culture and heritage of the state and an effort by the department to promote these features. The special covers were released by GM, BSNL, Dilip Siram, Post master general, (NE -01) T Mangminthang and Tongam Rina, Associate Editor, The Arunachal Times. Eva Kharshandi, a student volunteer gave a brief on the three special covers released today. GM, BSNL, Dilip Siram commended the postal department for reaching Gandhigram, even though there is no road connectivity. He further said that postal department and BSNL can come together to bridge the communication gap in the state. 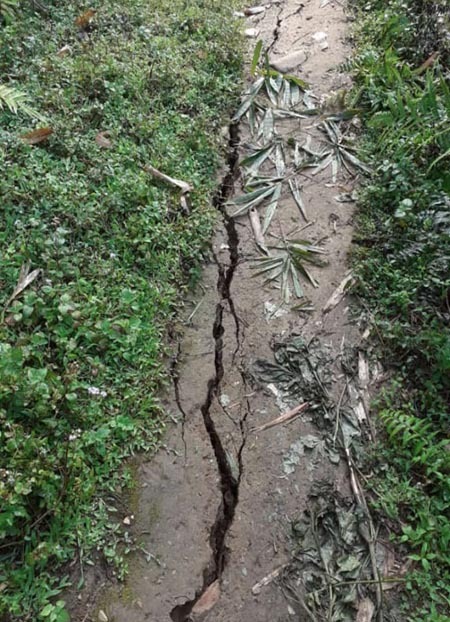 T Mangminthang said that covers will help spread knowledge on flora and fauna of Arunachal. Kerlin Mon Kharshandi, superintendent of Post office Itanagar also spoke on the occasion.